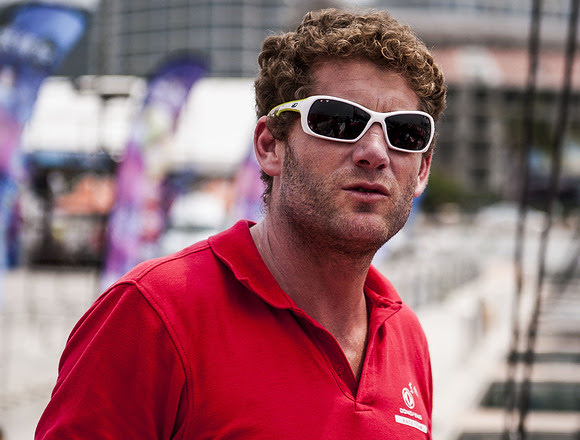 Charles Caudrelier led his team out of Serenity Marina, Sanya, China today as ‘Dongfeng’ set sail for Auckland. The journey, officially described as a Training Leg, will allow Charles to analyse and test the six Chinese Race Squad sailors onboard. It is also one of the deciding factors that will aid Caudrelier when he makes the final crew selection for the Volvo Ocean Race. The enormity of what lay ahead, not just on the offshore training voyage but the race itself, was uppermost in the sailor’s minds. 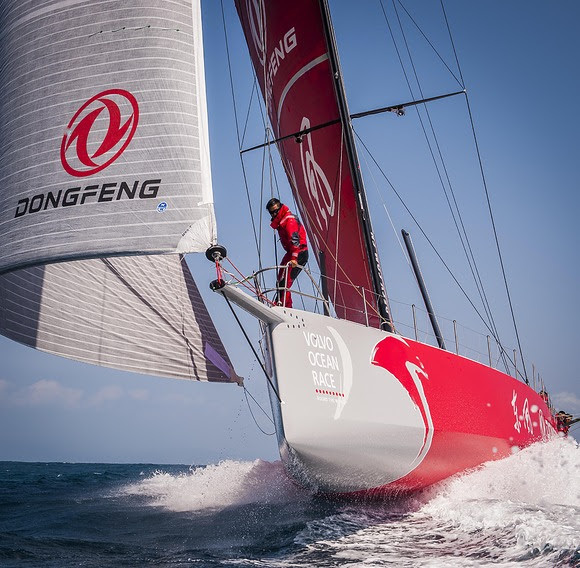 “You can only do so much preparation for this onshore,” said crew member Jin Hao Chen. “There comes a time when you just have to get on and do it. When I watch videos of this leg during the last edition of the race I’d be lying if I said I wasn’t scared but if you ask me if I think I’m capable the answer is yes,” he added. 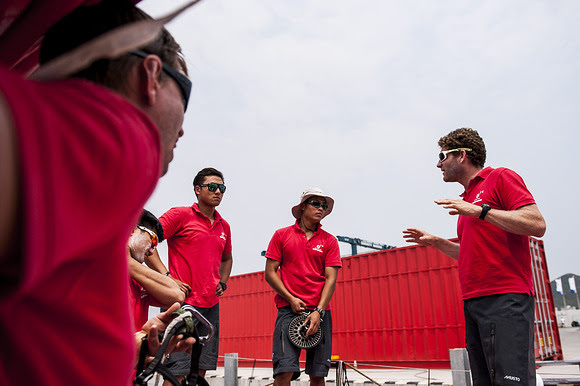 The team's departure from China is a key milestone for the crew who have been training for the past month at Serenity Marina, the team’s Official Training Base in Sanya. For the sailors it is also emotional as they will not return to Chinese shores until January 2015 on the official race stopover. But the professionalism of the team allows no time for sentiment as skipper Charles Caudrelier focuses on the next chapter: “The six Chinese sailors onboard will be pushed to their limits during this training leg,” Caudrelier said. For Jin Hao Chen (Horace), Liu Ming (Leo), Ying Kit Cheng (Kit), Liu Xue, Jiru Yang (Wolf) and Yiran Zhang this won’t only be their longest offshore sailing experience, Sanya to Auckland is 5,264 nautical miles, but also be their first time crossing the Equator.